What happens when employees are no longer able to carry out their employment obligations due to injury or illness? In terms of Labour legislation, an employer is required to reasonably accommodate the needs of that employee as there can be no fault attributed to the employee for incapacity due to ill-health or injury. An employer is required to explore the option of alternative employment within the employee’s capacity. Only if the employee can no longer perform in his position and is unable to be accommodated, dismissal may occur. Dismissal is therefore a last resort. In terms of item 10 and 11 of Schedule 8 to the Labour Relations Act No 66 of 1995 (LRA), an investigation should be held to determine the extent of the employee’s incapacity or injury. There is no laid down format for such an investigation however the first step is to determine if the illness or injury is temporary or permanent. This may require an opinion of an expert. An employee should be allowed the opportunity to state his case and be assisted by a trade union representative or fellow employee. This process is normally referred to as an incapacity hearing. Various factors ought to be considered such as, inter alia, the degree of the incapacity, nature of the job, extent to which the employee is able to perform the work, possibility of work circumstances being adapted or suitable alternative work. It is important to note that the investigation should be in consultation with the employee’s medical practitioner to determine the prognosis. In the case of Wylie and Standard Executors & Trustees (2006) 27. ILJ 2210 (CCMA) the employee was diagnosed with multiple sclerosis. The employee’s service was subsequently terminated and the CCMA found the dismissal to be unfair as the employer did not comply with the Code of Good Conduct in the LRA. The CCMA stated that it was essential that the occupational therapist be involved to determine the functional ability of the employee. 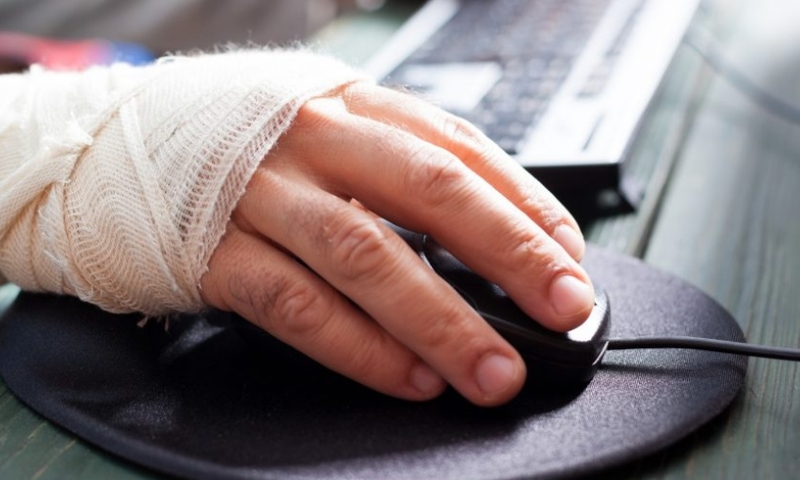 In instances where incapacity and injury are as a result from an accident in the work place, the courts have indicated that there is a greater onus placed on the employer to accommodate the employee. In the case of NUMSA obo Josias v Tedelex Trading (Pty) Ltd,Case No. MEWC 2592 an employee was incapacitated as a result of injuries sustained on duty and was subsequently dismissed. The employee had requested that his work station be adapted to allow him to continue doing light work. The employer had ignored this request and offered the employee an alternative position at half the salary, or he would be dismissed and paid a severance package. It was held that the dismissal was unfair as the employer could have accommodated the employee by adapting his workstation and this option was not even investigated by the employer. The either-or option was also held to be unfair. The employer should have undertook a structured assessment of the employee’s condition and assisted him with adaption. It was held that the employer, who was responsible for the accident, needed to be proactive in its action and did not go far enough to meet the standards set by the Act. An illness or injury may be a valid reason for dismissal, however, the specific circumstances of each case must be considered to determine the fairness thereof. There is a duty placed on employers to investigate, seek professional advice and to determine the availability of alternative work. Dismissal should be the last resort.